Jennifer Martin joined the Music Faculty at Cuesta College in the summer of 2004 as the conductor of the Cuesta Wind Ensemble. She also coordinates the department’s Applied Music program, and teaches Class Guitar. In 2008, she was selected to be the Performing Arts Division Chair. She became a staff conductor for the San Luis Obispo Wind Orchestra in 2010. Previous to her appointment at Cuesta, she was the Music Department Chair and conductor of the Reno Winds and the Truckee Meadows Community Orchestra at Truckee Meadows Community College in Reno, NV, where she was the founding faculty of the Music Department. Ms. Martin holds the B.A. degree in Music Education from California State University, Fullerton, and the M.M. degree in Conducting from the University of Redlands. 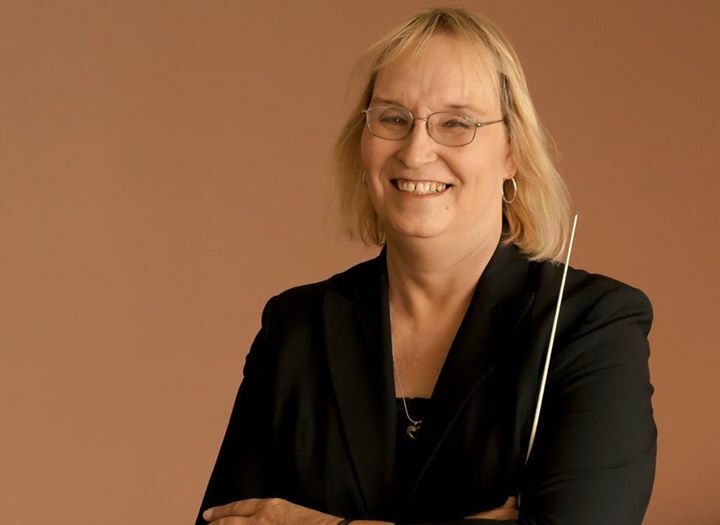 A conductor whose repertoire is unusual in its breadth and depth, Ms. Martin has conducted or guest conducted many ensembles, high school bands, orchestras, and honor groups in California, Oregon, Washington, and Nevada. She has also conducted numerous musical theater productions on the professional, college, and high school levels. As a trombonist and guitarist, Ms. Martin has played with numerous musical and theatrical groups in the west. A protégé of legendary conductor Frederick Fennell, Ms. Martin has taught at conducting symposia in Oregon and Washington. She is a member of the American Symphony Orchestra League and the College Band Directors National Association among others. Ms. Martin also concertizes as a solo fingerstyle acoustic guitarist. After a year as interim director, Ms. Martin accepted the position of Music Director of the SLO Winds in July 2015. Anthony Yi is an educator of all ages in the Five Cities area of San Luis Obispo County. Under the baton and tutelage of Dr. Eric Hammer, Anthony received his Bachelor’s of Music in Music Education from the University of the Pacific. Upon graduation, he assumed the position of Director of Bands at Arroyo Grande High School. After four years of developing a high quality music program at Arroyo Grande High School, Anthony began working at the elementary schools to bring music into the children’s lives. He currently works at six elementary schools in the Five Cities area, primarily Nipomo, teaching music to all the fourth and fifth grade students. 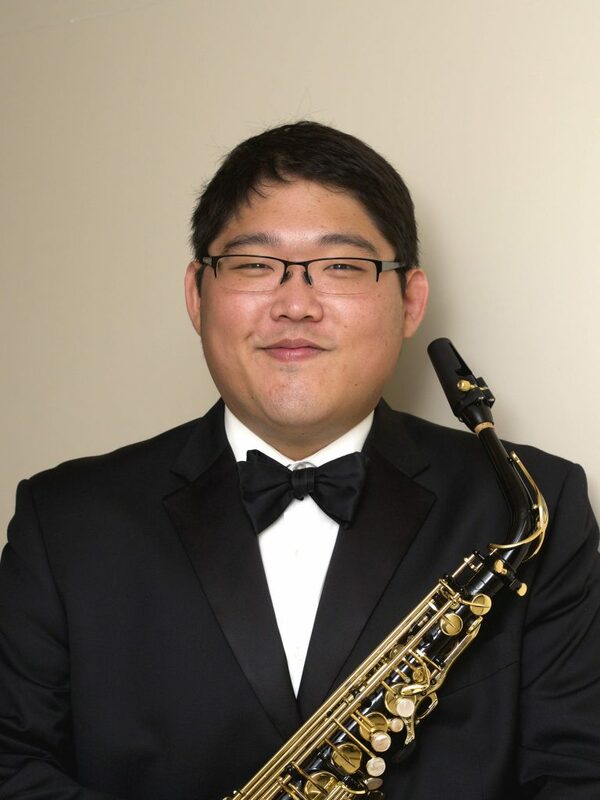 As a saxophonist, Anthony has had the opportunity to perform in various capacities. He started the XYZ Saxophone Quartetm which had performed at the North American Saxophone Alliance, NASA, western regional conference in Albuquerque, New Mexico in 2009. The quartet has performed a world-premiere orchestral piece by composer Franćois Rose, and the Symphony No. 4 by Charles Ives. Anthony and the Quartet have also had the honor of performing for the former President Bill Clinton. David Rackley was born and reared in Modesto, California, and received his bachelor of music and master of arts degrees in theory and composition from San Francisco State University, where he studied conducting with Lazlo Varga, and composition with Luigi Zaninnelli, Roger Nixon, Peter Sacco, Carl Sitton, and Pulitzer Prize winning composer Wayne Peterson. Upon completion of his studies, Rackley entered the United States Air Force Bands and Music Program. During his Air Force career, he conducted numerous bands in various worldwide locations, including the United States Air Force Band, Europe, where he was also a frequent guest conductor of the Southwest Radio Orchestra in Kaiserslautern, Germany, and the United States Air Force Band of the Pacific, where he was permanent guest conductor and clinician for the Southeast Asian International Schools Music. A published and award-winning composer, Rackley has scored video, commercials, and film productions for the Library of Congress, the A&amp;E Network, The Learning Channel, CNN, NBC, CBS, ABC, and the Discovery Channel. He has received six Telly Awards, three Omni Awards, a CINE Golden Eagle Award, the Gold Apple Award from the National Education Media Network, a Gold CINDY from the International Association of Audiovisual Communicators, and two Bronze Awards from the WorldFest International Film and Video Competition. 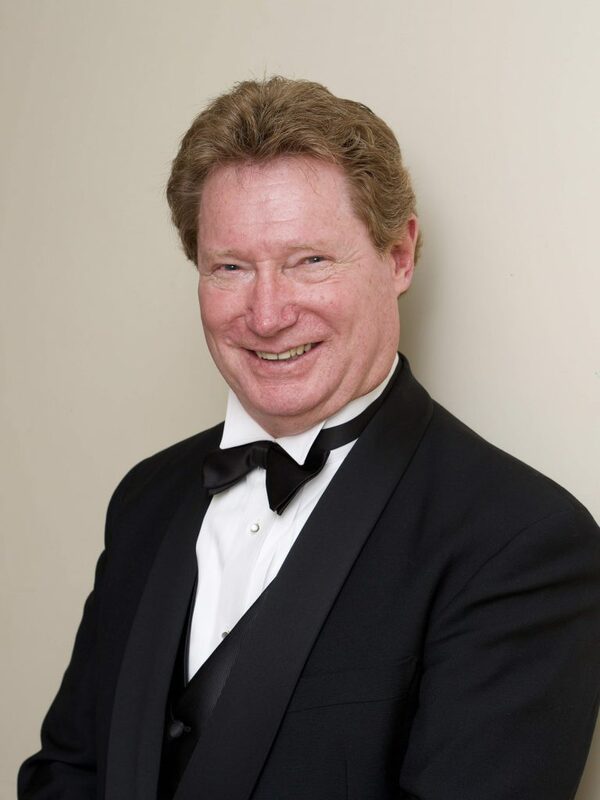 His composition, “Overture Calafia” was written for and premiered by the Cal Poly State University Wind Orchestra for the inaugural dedication concert of the Cal Poly Performing Arts Center. The Cal Poly Wind Orchestra performed his work, “Third Stream Bridge” for Jazz Piano and Wind Orchestra, in the Sydney Opera House in 2000. Rackley is currently Music Director for Grace Baptist Church, Santa Maria, CA. He is a member of the music faculties at Cuesta College, Allan Hancock College, and Chapman University.